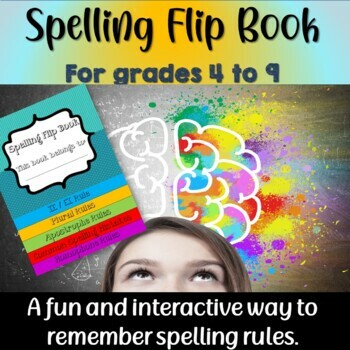 The Spelling Flip Book is designed to help young learners become familiar with spelling rules and to incorporate them into their work. Students can color and personalize their flip books to enhance the spelling learning experience. I always like encouraging my students to use their flip books as reference sheets when they are working to promote good spelling habits. The goal is that eventually, by using the flip book when working, the student will begin to remember common errors made in the past and correct them. I have had much success with this strategy in my classes. I’ve also included a color copy and an answer key – a total of 18 pages.